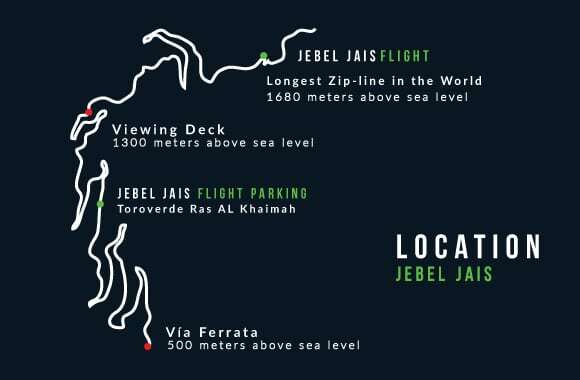 Ras Al Khaimah’s Jebel Jais – the highest mountain in the UAE, is home to ‘Jebel Jais Flight: The World’s Longest Zipline’……a must do attraction for the UAE and the world. 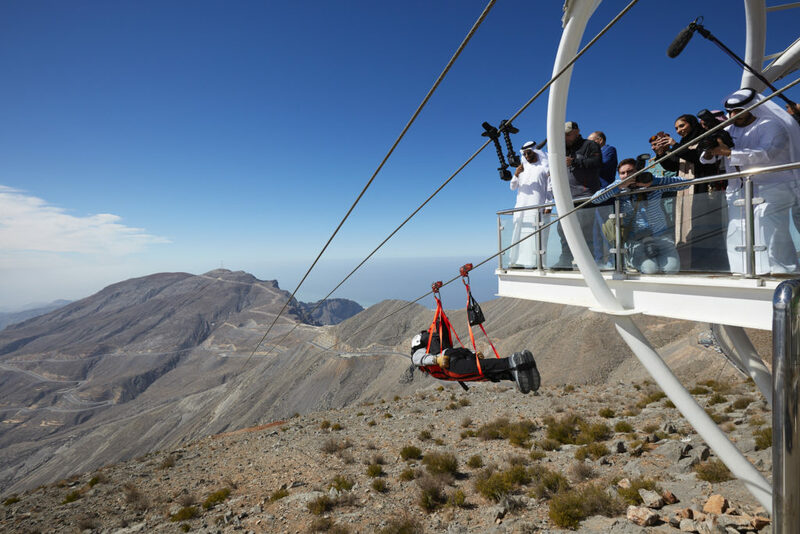 The world’s longest zipline, measuring 2.83 kilometers – the equivalent to over 28 soccer fields, will let you will soar with unparalleled speeds reaching 150 kph, over the UAE’s highest mountain peak and land on a breath-taking transparent platform that will be suspended completely in air, 15 stories high. The experience will see participants fitted with a special harness for the adventure, with the longest flight itself taking approximately two to three minutes. Once completed, guests will finish their flight on a suspended landing platform where they will be transferred to a second line to complete their journey back to the ground. -Reach a speed up to 150 km/hour. -Typical tour takes 1 hour. -Free parking and free transportation through the park area. 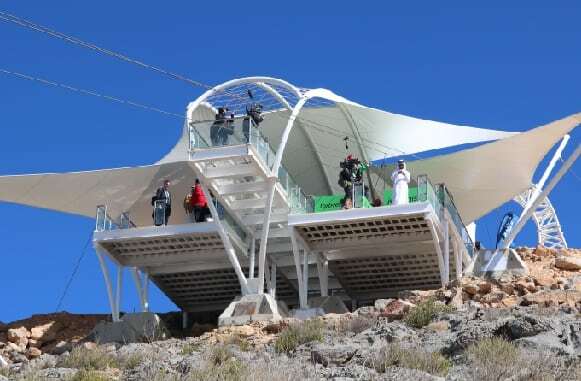 -Amazing views from Ras Al Khaimah Mountains and City. -You should wear typical athletic clothing. -Your clothes should be able to withstand the rough terrain. -Wear sturdy trainers or running shoes with good grip. -Other items you should consider: Sunglasses, Sun Block and Camera.